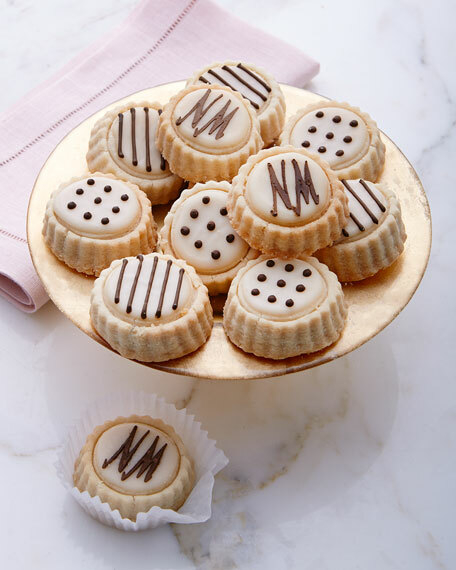 A shortbread cookie like no other. 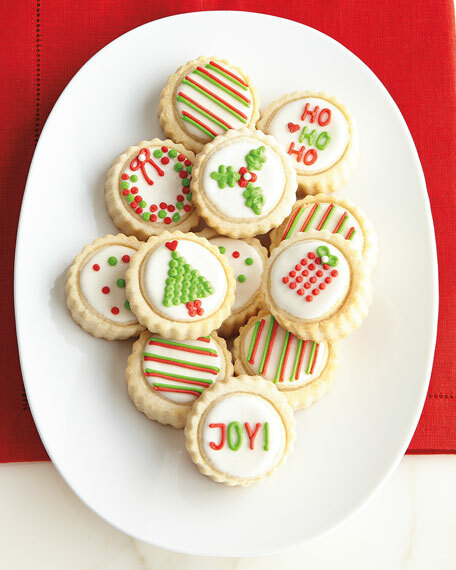 Decadent 0.75" cookie with a soft crumbly center melts in your mouth. 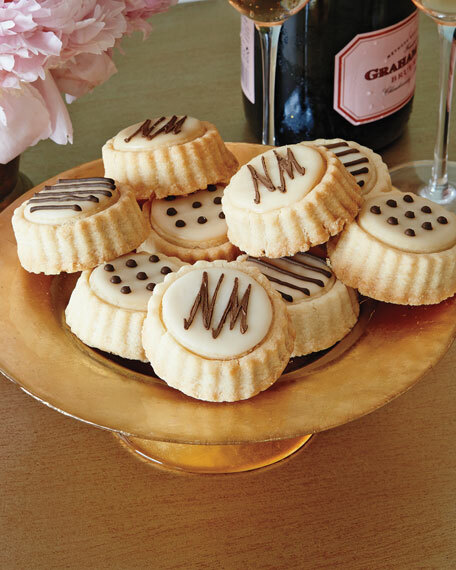 12 glazed shortbread cookies featuring the NM logo along with whimsical dots and stripes are nested inside a clear, round gift tin.